GHR initiatives started in Morocco in 2013. Human rights are at the center of the new constitution of the country, which had its truth commission. Its national institution actively contributed to the democratization process. An Inter-Ministerial Delegation for Human Rights (Délégation Interministérielle aux Droits de l’Homme, DIDH) was created in April 2011. After the adoption of Morocco’s UPR report by the HR-Council (September 2012), the Government started to prepare a ‘mid-term’ review on the implementation of the recommendations. GHR actively participated in the International Seminar convened by Morocco’s Inter-Ministerial Delegation DIDH in Skhirat with the support of UNDP, the OHCHR and the International Organisation of La Francophonie (OIF). Title of the Seminar was ‘Follow-up to the Implementation of the Recommendations of the Universal Periodic Review and Strategic Planning in the field of Human Rights: Compared Experiences and Good Practices’. About 200 persons attended, including Representatives of several Ministries, members of the National Council on Human Rights (‘Conseil National des Droits de l’Homme‘, CNDH), of the DIDH, of the civil society and of the diplomatic and academic worlds. To discuss the good practices of other States, diplomats from Thailand, Mexico, Mauritius and France had been invited to present their own experiences. During its UPR Review, Morocco committed itself to associate all the stakeholders in the implementation process, and to present in 2014a mid-term review prepared with them. The Seminar was part of this process. Interestingly, the Action Plan elaborated by the DIDH concerns all the UN recommendations (UPR, thematic procedures and treaty bodies). 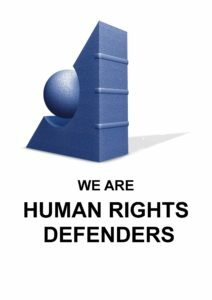 The oral communication of GHR President concerned NGOs contributions to human rights implementation in countries from different regions. He spoke on GHR experiences with the UPR reviews of Vanuatu, India, Sri Lanka, Ethiopia, Mozambique, Botswana, Jordan, Saudi Arabia, Russia, Switzerland, Mexico and Colombia. He highlighted the learning process for many NGOs and Governments, and several good practices, like the inclusion of NGOs in a monitoring body, the clearly demonstrated political will by the State to include all the stakeholders in the process, and the need for NGOs to adapt their strategies. Animated debates took place showing that the Inter-Ministerial Delegation, the national institution and the NGOs are seriously involved in this process.